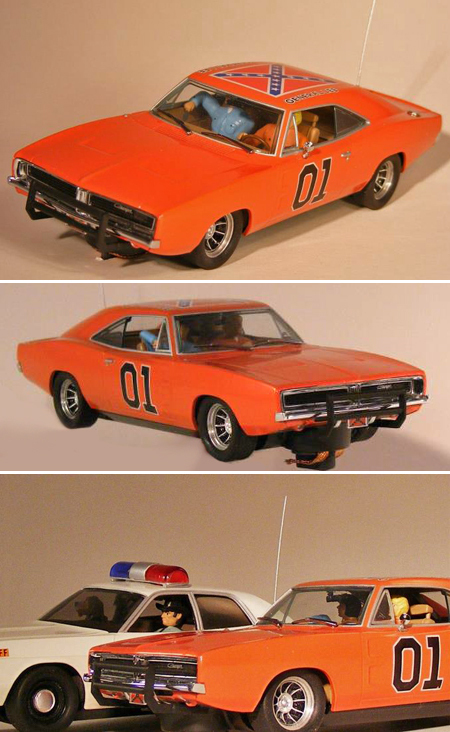 We just got word from Pioneer Models that their Dukes of Hazzard General Lee Charger is close to production, and the news comes with a BIG surprise! Yep! 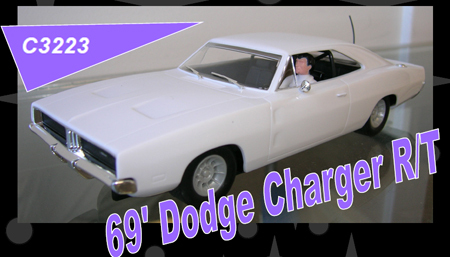 coming at the same time will be a Hazzard County Dodge Monaco police car! The cop car will have good ol’ Roscoe behind the wheel and his hound dog riding shotgun. Let the chase begin! No word yet on stock number or price for the police car but we will have it up for preorder soon. 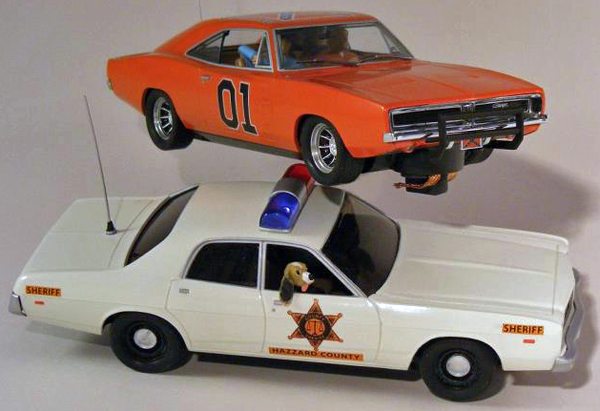 You can bet that the Hazzard County car will be just the first in a series of movie and TV show police cars, since the Dodge Monaco was the standard police cruiser both in real life and in the movies for a long, long time. We have it on good authority that there will also be state and city police cars from all over the US as time goes on, though no plans beyond the DOH car have been firmed up as yet. 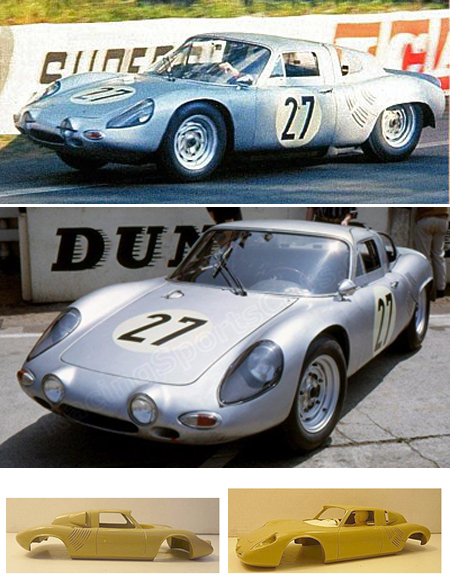 Carrera has distributed updated images of these cars, which means that they are on their way to the US and will be out soon. Carrera 23761 Cheetah, green, Digital 124. Preorder now! – $75.49. Don’t ask us why, but somehow this car in this color makes us think of Kermit the frog. Costin Nathan, blue #58, RTR. Price TBA. also to be available as painted body kit. 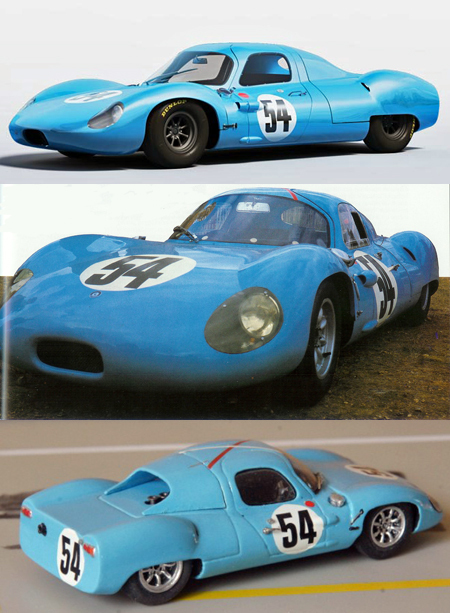 Osca, LeMans 1955, red #40, RTR. 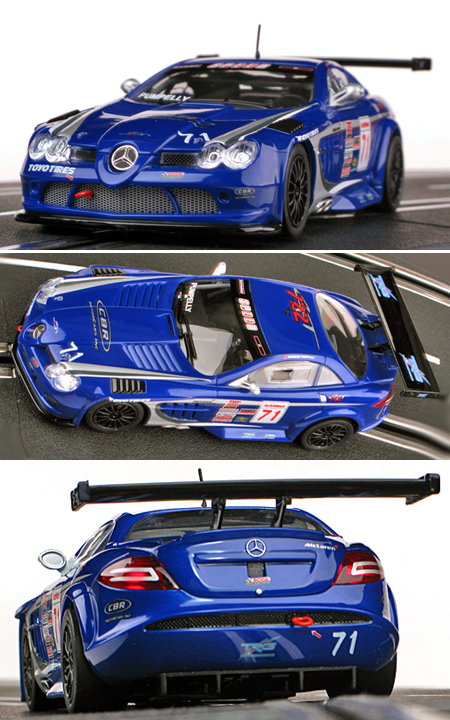 Also to be available as a painted body kit. Stanguellini, LeMans 1957, red #58 RTR. Also to be available as a painted body kit.